March 25, 2018, and our first turkeys of the year hatched out. The turkey hen is a bourbon red and the father of the poults is an Eastern wild or Rio Grande wild turkey. Two nights before, we another hen murdered on her nest. A predator, most likely a large raccoon scale the security net that I had built around the hen and kill her. So when the bourbon red hen hatched her eggs we were faced with the choice of chancing her one more night on the next (with cheeping little baby turkeys) or moving her, the babies and in-hatched eggs at night. We chose the move. The move went very smooth--easy. and we moved the new clan into a secure indoor pen. Two eggs remained unhatched and we let the hen continue to sit on the two eggs with ten little poults. The next morning, I checked the babies and the two eggs. The eggs had not hatched. A little shake one egg and I could hear liquid splashing around inside---ok bury that egg. The second egg....Well I was doing chores, the normal feeding and watering. And so I did the Egg Cold Test while I was working. Liquid filled eggs will turn cold in as little as five minutes. I checked 15 minutes later and the egg was not cold, but a little warm. Very questionable--Was if viable? No sure. 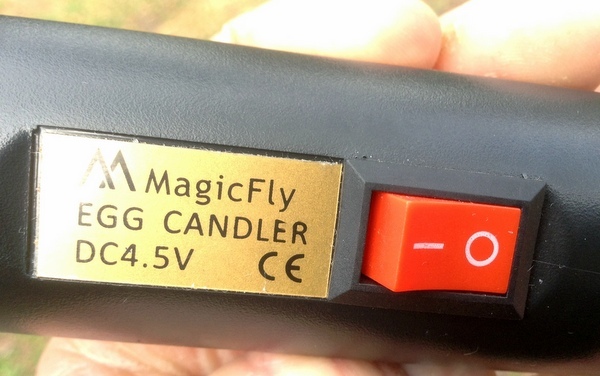 So I place the egg in the heated incubator until I could candle the egg. (I had the incubator warmed up because all of the eggs from the murdered turkey hen were in the incubator. ) 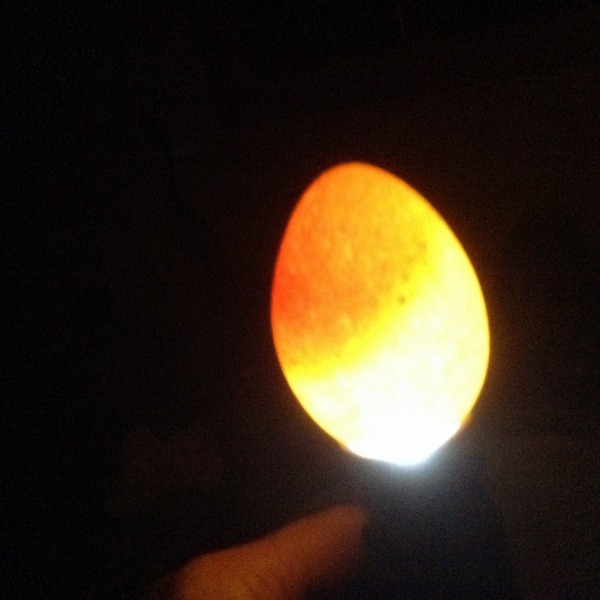 However it had not been on, I would have pre warmed the incubator-learned that was a good idea, during the hen and egg moves of Hurricane Irma. 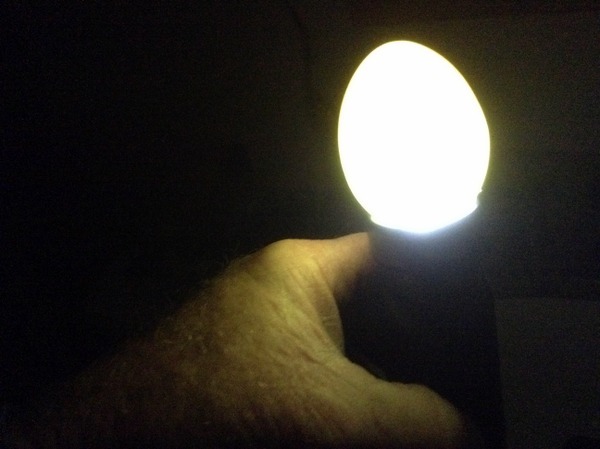 I marked the new egg with a piece of duct tape to identify it from the other to candle the egg later. 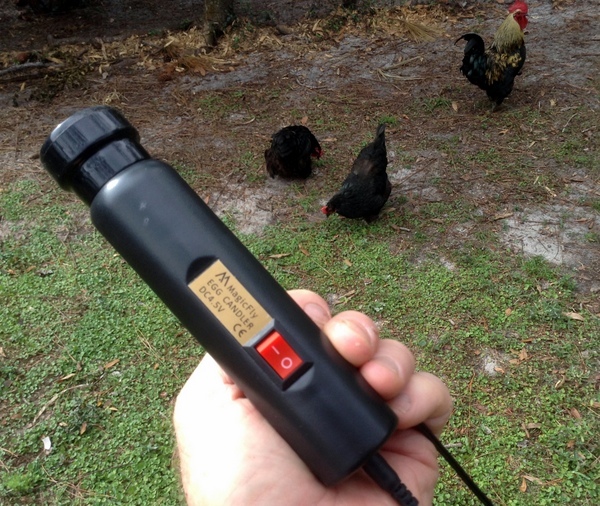 Note on the cold egg test....Works really good, especially if the turkeys are about to hatch--the eggs will stay hot. 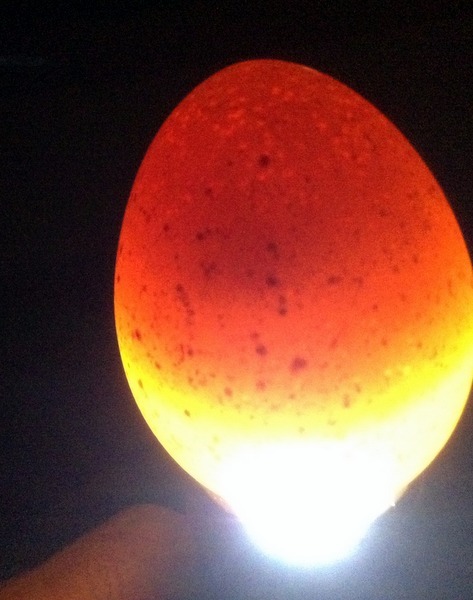 However if the egg in question had been laid by another bird sometime during the sitting process--the egg could be up to ten days LATE hatching and may not stay hot, warm yes, but not hot. So the candle test is good for this scenario. One of the turkey eggs from the hen that was killed. She was only sitting on the eggs for two days before a bobcat or a raccoon attacked her. The egg in the above photo appears to be empty because the embryo has not yet began to develop. One point of interest about the hen that was killed on the nest: it had rained that day. 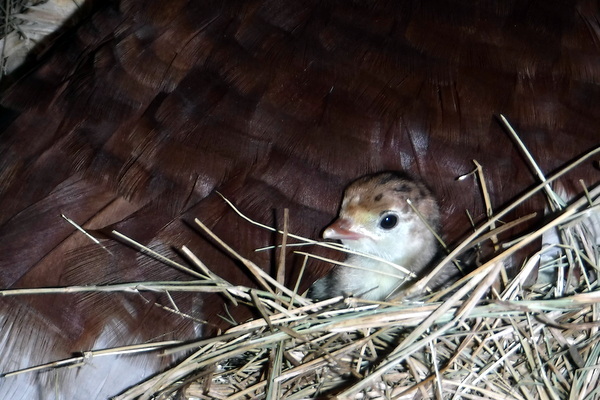 Wildlife conservationists explain that most turkey nest attacks happen after it rains and the predators can smell the scent of wet birds and eggs. Was sort of fascinated by the results --Sort of molasses type fluid that moved around. The egg did not make a liquid splashing sound when I had gently shook it. 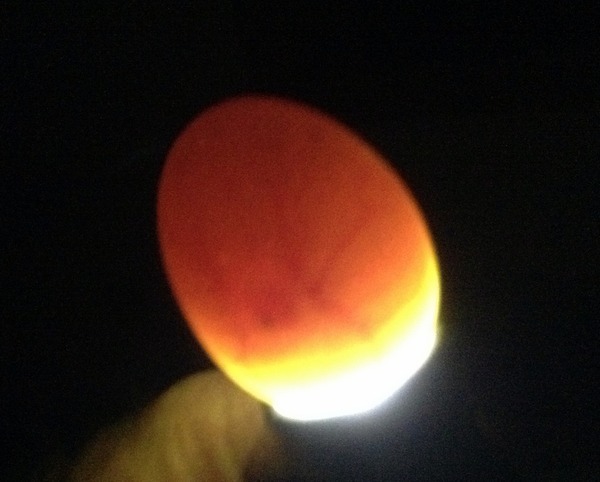 (Like the other egg from the nest) However in the photo, this 28 day old egg was a type of fluid moving around. I buried the egg--no need to do a further experiment and break open the shell. In another turkey nest, I have Ameraucana Chickens dropping green eggs in the turkey nest. So one problem is I have no idea how long these eggs have been under the turkey hen. Are they ready to hatch? A chick in development ?? 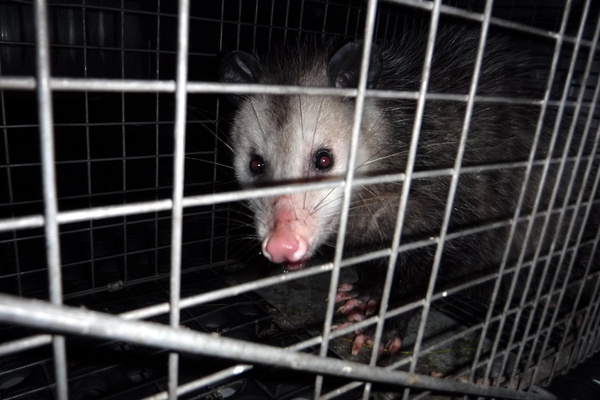 Well this opossum was not the killer of the adult turkey hen, but it would have stolen all the eggs from the hen if some bigger predator had not killed her.